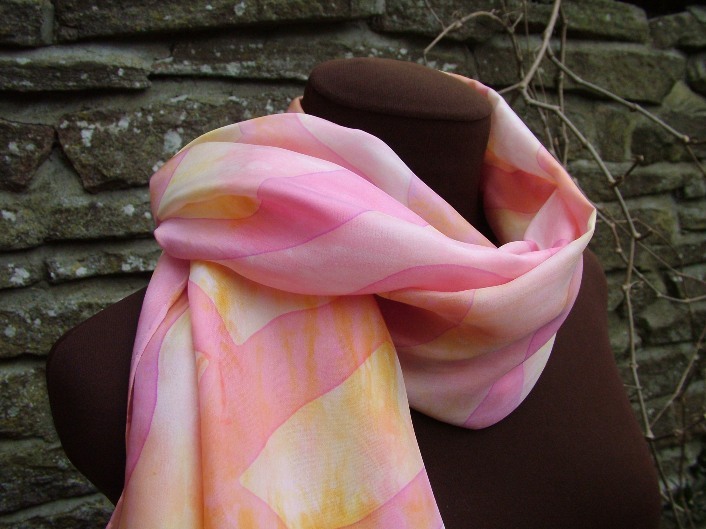 A soft and delicate silk scarf painted in pastel pinks and yellows and created in the shibori technique to create a gentle striped effect. 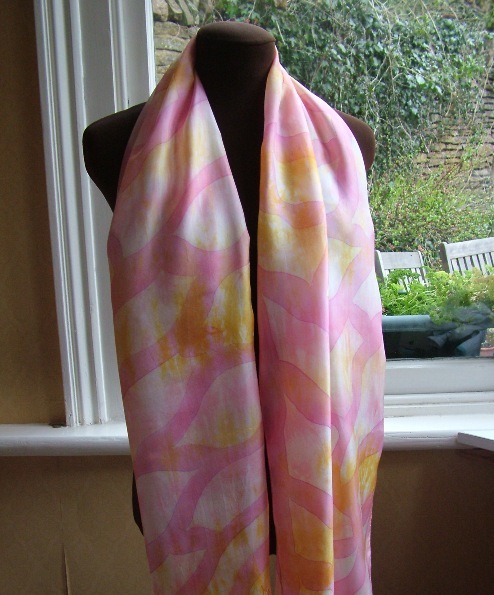 Then overpainted after a batik layer with a mixture of rose quartz and fuchsia. And golden leaf embellishments adorning the corners. 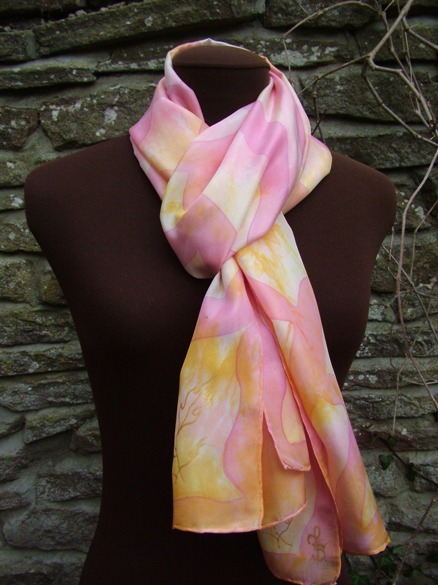 The silk scarf measures approx. 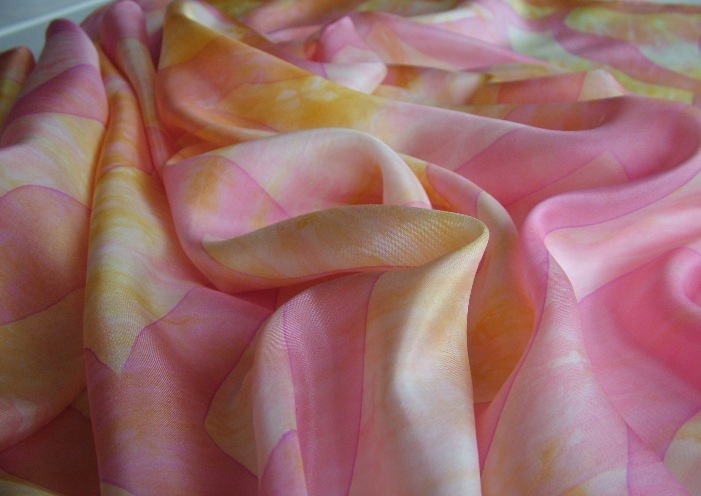 45cm x 180 (18″ x 72″) and is made of 100% habotai silk with prerolled edges. 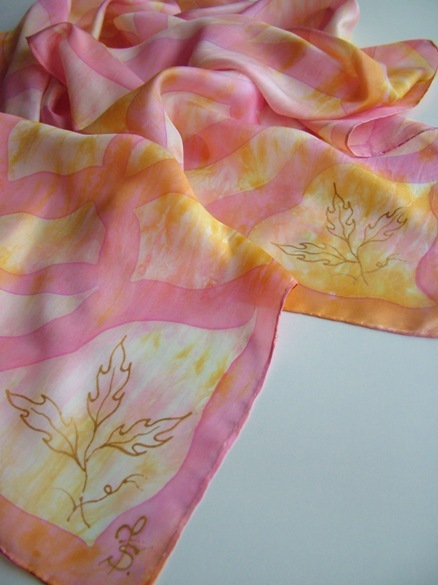 I created this silk in several layers using the batik and shibori techniques. Once completed it was rolled up and steamed for 3 hours to permanently fix the dyes in the fabric. 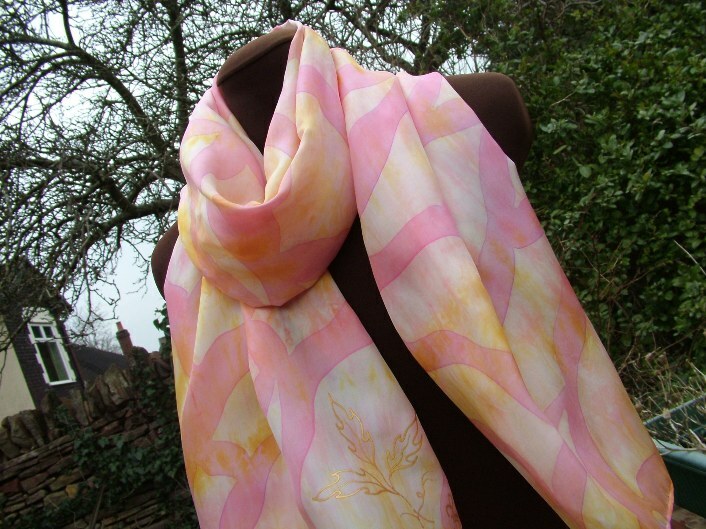 This entry was posted in Silk & Art Scarves by Fiona Stolze and tagged batik silk, bespoke silks, designer scarves, designer silks, fionastolze, gift for her, handpainted silk, shibori silk, silk scarf, silk scarves, silk shawl, silk wrap, silkandart on March 28, 2013 by Fiona (update Nov 23 2017).